Most compact SUVs are about as exciting as waiting in line at the grocery store. But not the 2019 Mazda CX-3. The newly revised crossover administers a refreshing dose of athleticism to an otherwise stagnant segment. For 2019, the Mazda CX-3 gets a midcycle reboot. Updates include a new electronic parking brake, redesigned front seats, available leather upholstery, and minor engine refinements. The exterior has been updated as well, with a revised grille and taillights. The latest CX-3 comes in three flavours: GX, GS, and GT. Outside, the sporty crossover SUV puts forth a bold new grille, piano black accents, and muscular body lines. All exterior elements are derived from Mazda’s KODO “Soul of Motion” design philosophy. Inside, things are just as refined. The new-for-2019 electronic parking brake frees up cabin space, while also adding convenience. All occupants are kept comfortable with high-density, vibration absorbing seats covered in available leather. And then there’s the storage area. Irregular cargo easily slides into place and stays put, thanks to the folding back seats and rear cargo net. For anything that won’t fit – like skis and 2x4s of wood – the CX-3 also features a handy roof rack. What really sets the CX-3 apart from the competition is its dynamic persona. Its exciting identity is defined by a 2.0L four-cylinder SKYACTIV-G engine (148 hp and 146 lb-ft) paired with either a six-speed manual or six-speed automatic transmission. Front-wheel drive comes standard, while i-ACTIV AWD is offered as an option. Performance is further enhanced by SKYACTIV-VEHICLE DYNAMICS with G-Vectoring Control, which automatically adjusts engine torque to provide maximum traction and handling. The steering and suspension of the CX-3 has also been fine-tuned to give the most spirited driving experience possible. But the CX-3 isn’t just about going fast and putting a smile on your face. The i-ACTIV all-wheel drive system also makes it incredibly fuel efficient by ensuring optimal distribution of torque and minimizing drivetrain energy loss. The CX-3 comes with a generous helping of standard features. 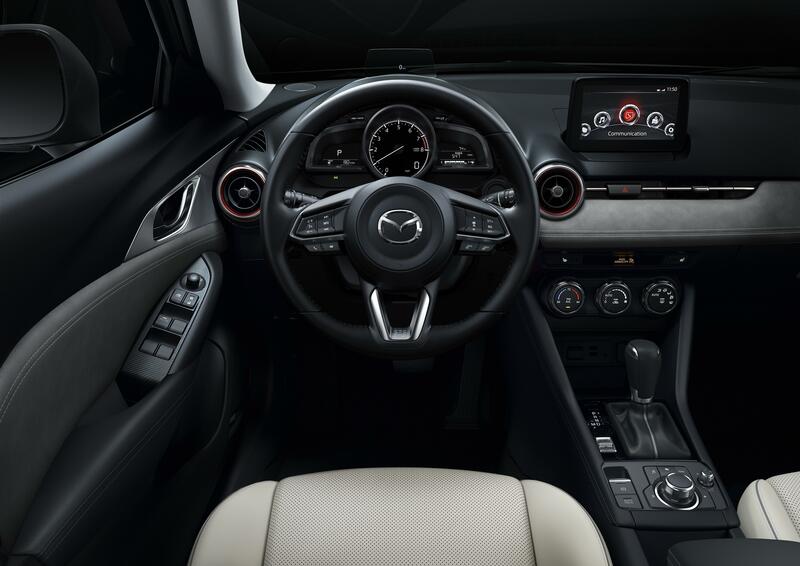 Highlights include the Mazda Connect infotainment system, a rearview camera, and voice controls. A Bose premium audio system is also offered on the high-end, GS model. As fun as the CX-3 is, it’s also serious when it comes to safety. The 2019 model is offered with a full range of driver assistance and safety technologies, such as adaptive cruise control, traffic sign recognition, automatic emergency braking with pedestrian detection, forward obstruction warning, rear cross traffic alert, lane departure warning, and blind spot monitoring. Plus, there’s automatic high beam control and adaptive front lighting. As you read this, the 2019 Mazda CX-3 is flowing into showrooms. There’s no need to go online or travel a long distance to find this exceptional vehicle, because it’s available right here in Yarmouth, NS. Yarmouth Mazda has an unmatched selection of SUVs, including the new Mazda CX-3. 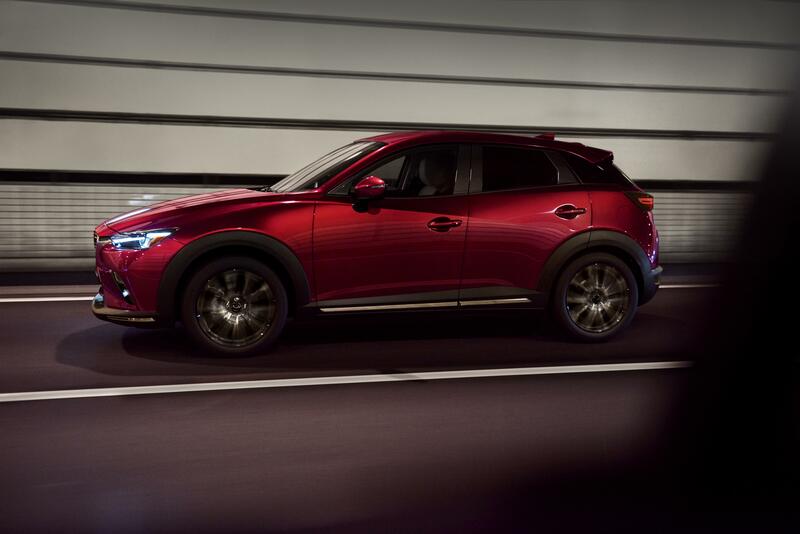 Stop by today our Mazda CX-3 showroom to learn more, or take a test drive, in one of the most exciting new vehicles.